Maria Guadalupe Macias, 83, born on September 1, 1935, in Jalisco, passed away April 22, 2019. She resided in La Puente, California at the time of her passing. Arrangements are under the direction of Forest Lawn, Covina Hills, California. Anh Thi Thieu Ha Cung, 87, born on November 28, 1931, in Vietnam, passed away April 22, 2019. She resided in Chino, California at the time of her passing. Arrangements are under the direction of Forest Lawn, Covina Hills, California. Jerome Hollowell, 48, born on June 15, 1970, in Palm Springs, California, passed away April 22, 2019. He resided in Cathedral City, California at the time of his passing. Arrangements are under the direction of Forest Lawn, Cathedral City, California. Luis Fernando Perez Morales, 73, born on July 16, 1945, in Guatemala, Guatemala, passed away April 21, 2019. He resided in Los Angeles, California at the time of his passing. Arrangements are under the direction of Forest Lawn, Glendale, California. Gregorio Gil, 78, born on October 1, 1940, in Cananea, Sonora, Mexico, passed away April 21, 2019. He resided in Sherman Oaks, California at the time of his passing. Arrangements are under the direction of Forest Lawn, Covina Hills, California. Rosa Vargas, 70, born on October 7, 1948, in Morelia, Michoacan, Mexico, passed away April 21, 2019. She resided in Baldwin Park, California at the time of her passing. Arrangements are under the direction of Forest Lawn, Covina Hills, California. Bonnie L Landrum, 92, born on May 5, 1926, in Bentonville, Arkansas, passed away April 21, 2019. She resided in Rancho Mirage, California at the time of her passing. Arrangements are under the direction of Forest Lawn, Cathedral City, California. Teodora Francisco White, 88, born on February 20, 1931, in Cavite , Philippines, passed away April 21, 2019. She resided in West Covina, California at the time of her passing. Arrangements are under the direction of Forest Lawn, Covina Hills, California. Juan Quiles, 79, born on February 3, 1940, in San Sebastian, Puerto Rico, passed away April 20, 2019. He resided in Fontana, California at the time of his passing. Arrangements are under the direction of Forest Lawn, Glendale, California. Humbert ""Bobby"" Aseniero Villondo, 68, born on July 8, 1950, in Molave, Zamboanga Del Sur, Philippines, passed away April 19, 2019. He resided in Sun Valley, California at the time of his passing. Arrangements are under the direction of Forest Lawn, Glendale, California. Lorenza Moreno Davis, 92, born on October 18, 1926, in Los Angeles, California, passed away April 19, 2019. She resided in Glendale, California at the time of her passing. Arrangements are under the direction of Forest Lawn, Glendale, California. Jaco Gerard Dion van Diermen, 32, born on December 27, 1986, in Gouda, Netherlands, passed away April 19, 2019. He resided in Huntington Beach, California at the time of his passing. Arrangements are under the direction of Forest Lawn, Hollywood Hills, California. Elizabeth A. Gero, 64, born on September 1, 1954, in Los Angeles, California, passed away April 18, 2019. She resided in Chino, California at the time of her passing. Arrangements are under the direction of Forest Lawn, Covina Hills, California. Dolores Gonzales Santos, 90, born on April 30, 1928, in Manila, Philippines, passed away April 18, 2019. She resided in Diamond Bar, California at the time of her passing. Arrangements are under the direction of Forest Lawn, Covina Hills, California. Gaspar Q. Macalutas, 65, born on January 6, 1954, in Initao Misamis Oriental , Philippines, passed away April 18, 2019. He resided in Santa Clarita, California at the time of his passing. Arrangements are under the direction of Forest Lawn, Hollywood Hills, California. 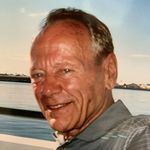 James Joseph Antonich, 79, born on May 12, 1939, in Berkerly, California, passed away April 18, 2019. He resided in Claremont, California at the time of his passing. Arrangements are under the direction of Forest Lawn, Covina Hills, California. Carlos Antonio Cardoza, 74, born on January 12, 1945, in Santiago, Chile, passed away April 18, 2019. He resided in Fontana, California at the time of his passing. Arrangements are under the direction of Forest Lawn, Covina Hills, California. Mabini C. Amancio, 78, born on May 19, 1940, in Manila, Philippines, passed away April 17, 2019. He resided in Pomona, California at the time of his passing. Arrangements are under the direction of Forest Lawn, Covina Hills, California. Rodolfo Ernesto Hurtado, 51, born on May 25, 1967, in Santa Ana, El Salvador, passed away April 17, 2019. He resided in Fontana, California at the time of his passing. Arrangements are under the direction of Forest Lawn, Covina Hills, California. Beatrice Virginia Skiff, 97, born on April 14, 1922, in Union City, Pennsylvania, passed away April 17, 2019. She resided in Sierra Madre, California at the time of her passing. Arrangements are under the direction of Douglass & Zook Funeral and Cremation Services, Monrovia, California. Kathleen Charlotte Darragh, 91, born on April 9, 1928, in San Francisco, California, passed away April 17, 2019. She resided in Pasadena, California at the time of her passing. Arrangements are under the direction of Forest Lawn, Glendale, California. Baruyr Avedick Poladian, 101, born on November 9, 1917, in Watertown, Massachusetts, passed away April 17, 2019. He resided in Woodland Hills, California at the time of his passing. Arrangements are under the direction of Forest Lawn, Hollywood Hills, California. 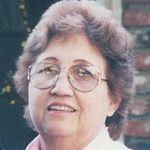 Mildred Pasillas, 88, born on October 18, 1930, in Los Angeles, California, passed away April 17, 2019. She resided in Glendale, California at the time of her passing. Arrangements are under the direction of Forest Lawn, Glendale, California. Kerry Steven Marsico, 54, born on January 29, 1965, in Chicago, Illinois, passed away April 16, 2019. He resided in Los Angeles, California at the time of his passing. Arrangements are under the direction of Forest Lawn, Hollywood Hills, California. 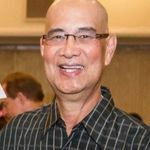 Mark Anthony Erive Reyes, 65, born on September 14, 1953, in Manila, Philippines, passed away April 16, 2019. He resided in Los Angeles, California at the time of his passing. Arrangements are under the direction of Forest Lawn, Glendale, California. Marcial Delen Arceo, 75, born on July 29, 1943, in Batangas City, Philippines, passed away April 16, 2019. He resided in Lakewood, California at the time of his passing. Arrangements are under the direction of Forest Lawn, Long Beach, California. Helen Akiko Martinez, 64, born on September 4, 1954, in Denver, Colorado, passed away April 15, 2019. She resided in Los Angeles, California at the time of her passing. Arrangements are under the direction of Forest Lawn, Glendale, California. Alexander Tawfik Mikhael, 75, born on March 22, 1944, in Tanta, Egypt, passed away April 15, 2019. He resided in Long Beach, California at the time of his passing. Arrangements are under the direction of Forest Lawn, Long Beach, California. Ines Zepeda, 82, born on June 30, 1936, in Mexico, passed away April 15, 2019. She resided in West Covina, California at the time of her passing. Arrangements are under the direction of Forest Lawn, Covina Hills, California. Ronald William Cobb, 76, born on September 25, 1942, in Boston, Massachusetts, passed away April 15, 2019. He resided in Hemet, California at the time of his passing. Arrangements are under the direction of Forest Lawn, Glendale, California. Juanita Arrieta, 75, born on December 29, 1943, in Menard, Texas, passed away April 15, 2019. She resided in Baldwin Park, CA. at the time of her passing. Arrangements are under the direction of Forest Lawn, Covina, CA. Doris Hope Harper, 94, born on June 24, 1924, in Los Angeles , California, passed away April 14, 2019. She resided in Los Angeles, California at the time of her passing. Arrangements are under the direction of Forest Lawn, Glendale, California. 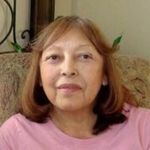 Rosa Armenia Fuller Castillo, 65, born on May 3, 1953, in Puerto Barrios, Guatemala, passed away April 14, 2019. She resided in San Diego, California at the time of her passing. Arrangements are under the direction of Forest Lawn, Long Beach, California. 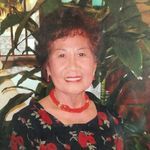 Rhina H. Duenas, 81, born on December 25, 1937, in El Salvador, passed away April 14, 2019. She resided in Phelan, California at the time of her passing. Arrangements are under the direction of Forest Lawn, Covina Hills, California. Florence Alfeche Baclayon, 84, born on August 24, 1934, in Cebu, Philippines, passed away April 14, 2019. She resided in Covina, California at the time of her passing. Arrangements are under the direction of Forest Lawn, Covina Hills, California. Salud Camotes Gabrillo, 92, born on February 7, 1927, in Carcar, Cebu City, Philippines, passed away April 14, 2019. She resided in Upland, California at the time of her passing. Arrangements are under the direction of Forest Lawn, Covina Hills, California. Anahid Meymarian, 81, born on November 10, 1937, in Kessab, Syria, passed away April 14, 2019. She resided in Tarzana, California at the time of her passing. Arrangements are under the direction of Forest Lawn, Hollywood Hills, California. 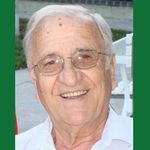 Gabriel Avedis Injejikian, 88, born on December 12, 1930, in Kessab, Syria, passed away April 14, 2019. He resided in Northridge, California at the time of his passing. Arrangements are under the direction of Forest Lawn, Hollywood Hills, California. Bernice Talley, 91, born on December 12, 1927, in Jackson, Mississippi, passed away April 13, 2019. She resided in Bellflower, California at the time of her passing. Arrangements are under the direction of Forest Lawn, Long Beach, California. 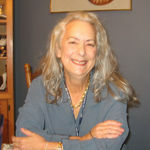 Mrs.Anne Morrison Pfeffer, 67, born on May 30, 1951, in Paisley, Scotland passed away April 13, 2019. She resided in Indio, California at the time of her passing. Arrangements are under the direction of Forest Lawn, Cathedral City, California. Betty Mae Kirk, 93, born on December 15, 1925, in Philadelphia, Pennsylvania, passed away April 13, 2019. She resided in Irvine, California at the time of her passing. Arrangements are under the direction of Forest Lawn, Covina Hills, California. 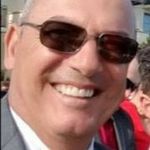 Timothy Clayton Simpson, 56, born on January 17, 1963, in Merritt Island, Florida, passed away April 13, 2019. He resided in Duarte, California at the time of his passing. Arrangements are under the direction of Douglass & Zook Funeral and Cremation Services, Monrovia, California. Socorro Rios, 82, born on May 13, 1936, in Chihuahua, Mexico, passed away April 13, 2019. She resided in Covina, California at the time of her passing. Arrangements are under the direction of Forest Lawn, Covina Hills, California. Jason Pilar Gonzalez, 21, born on February 13, 1998, in Fontana, California, passed away April 12, 2019. He resided in Ontario , California at the time of his passing. Arrangements are under the direction of Forest Lawn, Covina Hills, California. 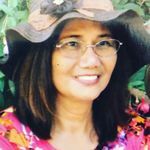 Gladys Peralta Roces, 56, born on November 2, 1962, in Manila, Philippines, passed away April 12, 2019. She resided in Los Angeles, California at the time of her passing. Arrangements are under the direction of Forest Lawn, Hollywood Hills, California. Antonio B. Aquiapao, 77, born on August 22, 1941, in Virac, Itogon, Philippines, passed away April 11, 2019. He resided in Los Angeles, California at the time of his passing. Arrangements are under the direction of Forest Lawn, Glendale, California. Augusto "August" del Rosario Crisostomo, 69, born on August 2, 1949, in Hagonoy, Bulacan, Philippines, passed away April 11, 2019. He resided in Los Angeles, California at the time of his passing. He is survived by his wife, Nini, and daughter, Kristina. Arrangements are under the direction of Forest Lawn, Glendale, California. Winston A. Best, 81, born on August 2, 1937, in St George, Barbados, passed away April 11, 2019. He resided in Palm Desert, California at the time of his passing. Arrangements are under the direction of Forest Lawn, Cathedral City, California. Edwin Clayton Ferguson, 93, born on June 20, 1925, in Fresno, California, passed away April 11, 2019. He resided in Duarte, California at the time of his passing. Arrangements are under the direction of Douglass & Zook Funeral and Cremation Services, Monrovia, California. James "" Jim"" Thomas Higgins, 62, born on September 26, 1956, in St. Paul , Minnesota, passed away April 10, 2019. He resided in Arcadia, California at the time of his passing. Arrangements are under the direction of Forest Lawn, Glendale, California. 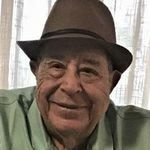 Isidro Soreano, 90, born on May 15, 1928, in Antioch, California, passed away April 10, 2019. He resided in Cabazon, California at the time of his passing. Arrangements are under the direction of Forest Lawn, Covina Hills, California. Harrison Carlton Whitman, 94, born on June 18, 1924, in Salem, Massachusetts, passed away April 10, 2019. He resided in Idyllwild, California at the time of his passing. Arrangements are under the direction of Forest Lawn, Cathedral City, California. Razmik Tilimian, 61, born on September 26, 1957, in Tehran, Iran, passed away April 10, 2019. He resided in Glendale, California at the time of his passing. Arrangements are under the direction of Forest Lawn, Glendale, California. Arthur Nesmith Burke, 79, born on March 31, 1940, in Inglewood , California, passed away April 9, 2019. He resided in Bullhead City, Arizona at the time of his passing. Arrangements are under the direction of Forest Lawn, Covina Hills, California. Ronaldo R De Asis, 77, born on July 6, 1941, in Dumangas, Iloilo, Philippines, passed away April 9, 2019. He resided in Glendora, California at the time of his passing. Arrangements are under the direction of Forest Lawn, Covina Hills, California. Wilma Juanita Snyder, 93, born on September 20, 1925, in California Township, Coffey County, Kansas, passed away April 9, 2019. She resided in Glendale (Maricopa County), Arizona at the time of her passing. Arrangements are under the direction of Forest Lawn, Glendale, California. Jaime Velasco Batalla 95, born on March 28, 1924, in Town of Alcala, Province of Cagayan, Philippines, passed away April 9, 2019. He resided in Cathedral City, California at the time of his passing. Arrangements are under the direction of Forest Lawn, Cathedral City, California. Lai Chan, 91, born on February 6, 1928, in Hunan, China, passed away April 9, 2019. She resided in Alhambra, California at the time of her passing. Arrangements are under the direction of Forest Lawn, Covina Hills, California. Gabriela Gone, 52, born on July 19, 1966, in Montebello, CA, passed away April 9, 2019. She resided in El Monte, CA at the time of her passing. Arrangements are under the direction of Forest Lawn, Covina, CA. Woodward Smith, 88, born on January 27, 1931, in Tulsa, Oklahoma, passed away April 9, 2019. He resided in Van Nuys, California at the time of his passing. Arrangements are under the direction of Forest Lawn, Glendale, California. Chris Van Sorensen, 54, born on October 5, 1964, in Maywood, California, passed away April 8, 2019. He resided in Rialto, California at the time of his passing. Arrangements are under the direction of Forest Lawn, Covina Hills, California. Paul Mathew Elmore, 82, born on January 13, 1937, in Huntington Park, California, passed away April 8, 2019. He resided in Arcadia, California at the time of his passing. Arrangements are under the direction of Forest Lawn, Glendale, California. 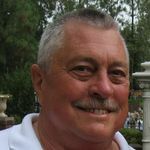 William Lee Potter, 62, born on December 31, 1956, in Calexico, California, passed away April 8, 2019. He resided in West Covina, California at the time of his passing. Arrangements are under the direction of Forest Lawn, Covina Hills, California. Elizabeth Pouridis, 85, born on July 17, 1933, in Russia, passed away April 8, 2019. She resided in Valencia, California at the time of her passing. Arrangements are under the direction of Forest Lawn, Hollywood Hills, California. Fely Becite Raton, 54, born on January 17, 1965, in Ilo Ilo, Philippines, passed away April 8, 2019. She resided in Harbor City, California at the time of her passing. Arrangements are under the direction of Forest Lawn, Long Beach, California.